Who was the German Chanteuse? In her life, Nico told many stories about her past, often fictionalizing past events and creating a tale of her own. The new film Nico, 1988 enters a new level of professional life-fiction. But who was she really? What was she all about? Later, Herbert Tobias got her in touch with Willy Maybach, his photographic teacher who then lived in Paris, and Maybach used her for fashion shoots, especially when he was working for Christian Dior, with whom he had active dealings. Dior's style was different, it was called the 'New Look.' Nico's feature fit perfectly into 'The New Look' and she moved to Paris. Maybach also was intrigued by modern art. He would hang around artists, and spend longer periods of time with people like Pablo Picasso, Georges Braque, Marc Chagall, LeCorbusier, Joan Miro, Fernand Leger or Georges Rouault, who he would photograph intensely. Through Maybach, Nico discovered the power of art, and the idea of the artist as a person who would live beyond society's standards. Being a fashion-model got Nico in touch with the world of advertisement, and she acted in movie-ads as well (as can be seen in the documentary Nico-Icon). This helped her to get small parts in feature films, and she had a keen interest in being an actress, not a model. A model has to look good and is being told what to do, an actress has more control and power. So when Federico Fellini was casting his new film, La Dolce Vita, she travelled to Rome to meet Fellini, and he liked her, giving her a part that would be kind of a role model for her future career. On the set of La Dolce Vita, she also met young Anita Pallenberg, who was then living as a model In Rome. Other contracts followed, even leading roles in some films. Through her acting career Nico befriended Niko Papadakis, a Greek-born French filmmaker. In the film Nico Icon Papadakis claims he changed her from being Christa Päffgen, as she was still known then, to simply being 'Nico.' But even in the late '50's, she was already using different aliases containing 'Nico.' In any case, she travelled to New York with Papadakis, who knew Avant garde film maker Jonas Mekas. Mekas remembers: "Papadakis, who had helped to finance Jean Genet's Un Chant D'Amour, came to see me, his new girl-friend in tow. Her name was Christa, but she already called herself Nico, a name she had copied from Papadakis. Both wanted to get in touch with Andy Warhol, and I said, 'Okay, I'll introduce you.'" 1 Both lived in a hotel nearby 'The Factory' and it was only a short walk to meet Andy Warhol. Back in Paris, Nico got back into modeling and acting, but the media focus changed to pop musicians. Nico travelled to London, meeting up again with Anita Pallenberg, who in the mid-sixties was involved with Brian Jones and Keith Richards of the Rolling Stones. Their manager, Andrew Loog-Oldham, saw potential in Nico and her singing voice. With the money he made from the band, he had started a label, Immediate Records. He recorded a single with her, "I'm Not Sayin',” a song written by Gordon Lightfoot, but it failed to make any impact. In London, her pop career did not seem to take off, so Nico travelled back to New York, where in the scene around Andy Warhol, she seemed to make progress. There, she met Jonas Mekas again. She asked him if it was possible to introduce her to Bob Dylan. Yes, he could. Mekas remembers that on their first meeting, "Nico would slap Dylan. I don't remember exactly (why), but I think Dylan made a remark about the very special relationship between the Jews and the Germans. Well, with her, you never knew. She was very quiet. She could sit around for hours saying nothing. But suddenly she'd explode, hit somebody, or throw a bottle." 2 First, Nico acted in Films by Andy Warhol like Chelsea Girls, Imitation of Christ and Nico's Screen Test. In 1966, she was so popular that she was elected 'The pop girl of 1966.' But around the same time, Warhol was sponsoring a band, The Velvet Underground. He felt their black outfit and dark lyrics needed a contrast, and he introduced Nico to them, with her first single in his hands. She could sing a little, and she looked good, and she was special. She was even was a single mother, so why not let her sing in the band? She stayed in the band for only about one year. There were not many songs she had to sing, and playing live, she usually stood only on stage playing tambourine, clouded in noise. Years later John Cale would still complain about her playing, that was always off-beat. She was unhappy with this and wanted more songs to sing- she wanted to be in the center of attraction, but that did not fit with the band. Lou Reed had other things on his mind- he wanted to get away from his family, who had put him into an institution, for fear of him being homosexual (he had received shock-treatments there). John Cale wanted to get away from being a child prodigy on the viola, turning to primitive and weird sounds. Moe Tucker was only the drummer because after their original drummer (conceptual artist Angus MacLise), they could not find anybody else who wanted to play with them. Cale reportedly hated 'chicks in the band,' as Nico overheard him saying to Reed. And Sterling Morrison liked to make music a bit, but his main interest was literature, mostly retiring from music after '71 except for the early '90's Velvets reunion. So the band itself was not really working on a long term pop career per se, dissolving a few years later with Reed and Cale following their own solo careers. But Nico was interested in a career herself also. So she left the band, but got back in touch with Andy Warhol whenever she was in New York. 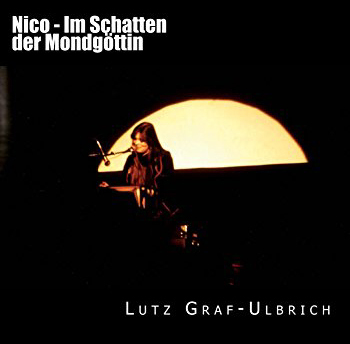 On the other side of the Atlantic Ocean, in Berlin, German rock-musician Lüül (Lutz Ulbrich) fell in love with Nico for the first time in 1968. He had seen a fashion-picture of her in a news-magazine, that he pinned to a wall in his bedroom. He was only 16 then, but already playing in bands intensely. Being an ex-supermodel, a single-mother, and hanging out with Andy Warhol, the international lady from Berlin made headlines in Germany. But it was not until 1972 that Lüül would meet her in person. After leaving the Velvet Underground, Nico was eager to release a record of her own. As she did not write songs, she needed songs written by others. She played solo at coffee houses, accompanied on guitar by Jackson Browne, who was an aspiring songwriter and part of the folk-scene around Greenwich Village. He wrote songs for her and played, like others, on her debut Chelsea Girl, which was recorded between April and May 1967. The title track even referred to her appearance in Warhol's film Chelsea Girls, where she sits in a kitchen, cutting her hair endlessly. The album was produced by Tom Wilson, who had helped to organize The Velvet Underground and Nico. Wilson was a kind of an independent guy, who had run his own record label in the fifties and worked with musicians as diverse as Sun Ra, Bob Dylan and Simon and Garfunkel. 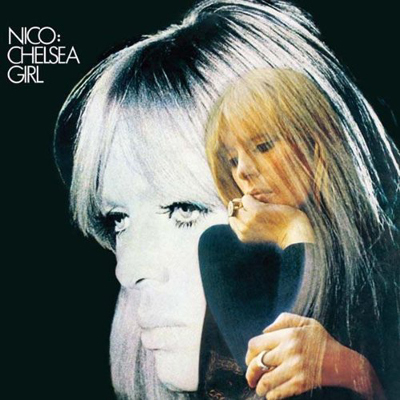 For most of its songs Chelsea Girl sounds like just another chamber folk albums, which were so typical for 1968. Only her collaboration with Lou Reed and John Cale, "It Was A Pleasure Then,” sounded a bit like what she had done with the Velvet Underground, and what she would do in the future. Chelsea Girl did not sell and so her label, Verve Records, sacked her. In the meantime, she started to write her own songs on the harmonium. Jonas Mekas remembers that the harmonium was given to her as a present by Allen Ginsberg. Nico claims Jim Morrison told her to write her own songs. She could not read notes, remembering only her finger positions for every song she wrote. She carried her harmonium to the offices of Elektra Records, where she would play for label-head Jac Holzman, and afterwards, he was willing to give her a contract for one record. 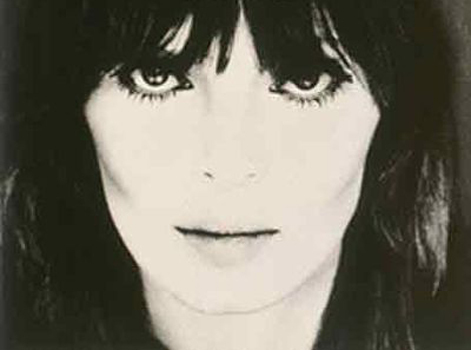 In 1969, with the release of The Marble Index, Nico found her own voice. By that time, she had started to dye her hair black, or sometimes red, and wear kaftan-like gowns, that would almost disguise her once so valuable body. Now, she looked more like a figure from medieval times. For The Marble Index, she needed a producer, and John Cale was only too eager for the job. Like Nico, he had left the Velvets by then and was unsure about his future. Cale was the guy who could - and would - do anything for music, who knew about the history of music, and who had no fear to try the unconventional. With this record Nico not only reinvented herself completely, she also entered new territory that no one else had tried out before. While Lou Reed expanded his career into being a professional songwriter, Nico expanded the image that The Velvet Underground had created around themselves, and wrote songs, starting a new genre. As Jac Holzman has said, The Marble Index for him was more a work of art than a pop record. She then met French Filmmaker Philippe Garrel, who used her song ”The Falconer” in his film Le lit de la Vierge and became her partner for the next decade. But it was in 1972 that Lüül would finally see Nico in person. He was playing with his band Agitation Free at a French festival. Nico performed before them and Lüül was totally mystified, although he did not like her music that much. But her image totally got him. One year later he met her in his agent's apartment as both shared the same management, and Lüül was there to present the new record from his band. When Nico entered the room the record lay on a table. Lüül remembers: "The back-cover lay on a table. She turned it around, it frightened her. In her dark, brooding voice she said: 'I feel like a robot. Too many thoughts in too short time. Do you feel the same?'" 3 Lüül was stunned and did not know what to say. By 1973, Nico's career was in limbo. Her last record, Desertshore, had been released in 1970, but she was sacked by the label after that. No one else wanted to pick up a recording deal with her. She would play gigs from time to time, but she was living a kind of reclusive life in Paris. She and Lüül met again in September of 1974, when he was backstage at a festival in Clermont-Ferrand, where he drank tea with the band Delirium Delirium, who where known for putting LSD into their tea. Lüül suddenly felt dizzy, and picked up his guitar to just focus on playing. He does not remember how long he sat there, but when he looked around he found Nico sitting next to him, saying 'Hello!' In her deep voice. "She always seemed to live on a different level,” 4 he remembers, and Lüül, now on drugs, met her on the same level. He felt very much charmed by the 'black rose,' as he called her then. She took him to the hotel she was staying at for a few days, and booked a room for him. They went to a nearby bar, flirting. He felt encouraged and took her hand. She seemed shocked, but then she asked "Where do you sleep tonight?” "No idea,” the guitarist responded. They went back to the hotel, but when Lüül said good night, she answered: "You will not get away like this!” 5 and dragged him into his room. She undressed and stretched out on the bed. But Lüül felt embarrassed. He withdrew and slept in his own bed. The next day, they both took a train to Paris, where he played dozens of songs on his guitar for her. In his films, Garrel used to re-enact his life with Nico, and with others. Most of his films look like feature films, because everything is, within limits, directed and arranged by him. His focus was not on telling stories, but into creating images, and scenes. In October 1974, Nico came to Berlin. She shared the stage with Brian Eno and John Cale at the Nationalgalerie, a big museum for modern art, close to the wall at Potsdamer Platz. With a piano, an acoustic twelve-string guitar and a table with a legendary EMS Synth-A Synthesizer, accompanied by some glasses of wine, the stage looked sparse. And there was not much action to expect from Nico on stage. Lüül writes "she would sing her songs and create an atmosphere of mystic distance. It was wonderful to hear how Eno used the EMS quite decent, interrupted by Cale's sometimes noisy attacks on the piano. The audience didn't like it that much, they threw pennies." Nico was backstage, upset, and asked Lüül what to do: "I could only think of our national anthem 'Das Lied der Deutschen' to play, to embarrass the people. She played all three (verses), including the strongly forbidden first verse. The audience reacted upset, some would applaud, but many hissed and booed." 8 After this event, both stayed very closely in touch. They moved back to Paris after that, but things went bad. Lüül had visited her in Garrel's apartment, where he slapped her for something and she threw him out, screaming "You German pig!" She even put her beloved transistor radio, which Lüül had given to her as a present, outside the door. Their relationship seemed to have come to an end. Out of the blue, Nico got back in touch with Lüül in December of 1978. She was still living with Philippe Garrel. As if she had sensed it, Lüül had saved up some money and was planning a trip to the USA. Nico asked if she could join him. In the early '70's, she had left New York in trouble because she had attacked a woman (a friend of Valerie Solanas) with a bottle as a reaction to the assassination attempt against Warhol. After some hesitation, Lüül agreed to take her with him, and in February of 1979 they boarded the plane to New York. Some days before Nico had seen Sid Vicious on television, and was enthusiastic about his power and energy. She wanted him to play bass on the next recordings she was planning, which were later released as Drama of Exile in 1981. She was shocked to hear he had committed suicide the same day. In New York, they checked in at the Chelsea Hotel, room 121, opposite the room where Sid Vicious had murdered Nancy Spungen some months before. It was a nice place with oriel windows and long, green curtains, costing $40 a day. Nico got in touch with the John Cale's manager, Jane Friedman. Within half an hour, Friedman had organized a show for Nico at CBGB's. John Cale was on the same bill. Nico sang most of her songs alone, only accompanied by Lüül on guitar and Cale on viola on some songs. The audience was very enthusiastic. Following this gig, Nico went on tour with John Cale. There was a rivalry between them, and Nico did not like opening up for him. Playing in Washington, Nico drank a bit before the first show, and drank on stage, too. After the show, Friedman asked if she was okay enough to perform the second show. Nico got angry. "Nobody has told me that there would be two shows! And the money is not good enough for two shows!" 17 She started to cry, had bouts of anger. After a longer discussion, she finally got on stage but could not calm her temper. While singing she started to cry again, and finally broke off the show because people started to boo, a she shouted "Nobody had told me that there would be two shows! I am tired of being the opening act for Mr. John Cale!" 18 And she left the stage. The audience was perplexed. Backstage, she could not calm down. After Cale's show she ran around in the audience space, throwing chairs, which had already been set up, on the floor, and screaming for the manager, because she wanted to kick him in the face. Bouncers tried to stop her but were too afraid to touch her. Cale came and talked to her, but with no effect. She was yelling at him, even about stuff that had happened during the Velvet Underground days, and he left her alone. It was already the break of dawn before she and Lüül could get to the train station and take a train back to New York. In New York, Nico used methadone instead of heroin. But she started to drink instead, and that did not mix well with the methadone. Sometimes, this ended in disaster. Lüül remembers how she came home one night, totally drunk, and had lost all the money they had, about $2000. On another day, Cale called and asked if she wanted to participate in a benefit show at Carnegie Hall. She preferred playing for money, but finally agreed to play. But on that day, she was so hung over and could not get out of bed. She didn't care a bit, even for a gig at the famous venue. Over the course of the next months that she lived in New York, Nico got more and more frustrated. There was no record deal in sight, and only very few gigs would come in. The combination of methadone and alcohol had a drastic negative effect on her personality. Lüül found it more and more difficult to deal with her. Finally, they got into a heavy fight. First, she threw an iron at him which landed in a window, but then she grabbed his guitar, trying to destroy it. He stopped her by throwing her on the ground. For a moment, she seemed dead but she regained consciousness and jumped back at him. Even when the police entered the room, she could not stop beating him with her fists. For the next few years, there would only be rare contacts between them. 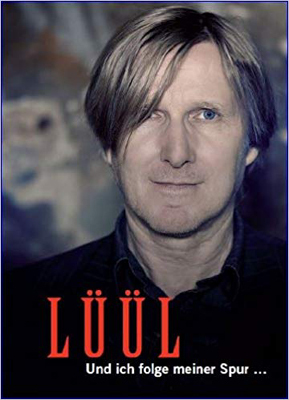 Lüül sometimes organized a gig for her in Berlin, while he started his own solo career as a songwriter and incidental composer. Suddenly in 1988, he got a call from a friend, telling him that Nico had died some days before. She had been on vacation on Ibiza, when, on a very hot day, she cycled to town to buy some groceries. It had taken her some time to put a scarf around her head to protect herself against the incredible hot sun. Later, she was found near the street, still conscious but unable to speak. When the emergency services came and took her in, she even waved her hand, as if she would not want to be taken to the hospital. The next day, she died.